A former student of mine, a graduate of Thomas More College in New Hampshire who is now studying at Catholic University of America and attends the Ukrainian Catholic National Shrine of the Holy Family in Washington DC has contacted me about this project. The shrine has issued a call for icon painters to undertake the painting of icons for the iconostasis and for selected walls. Go here to find out more about the commission. The Ukrainian Catholic National Shrine of the Holy Family in Washington, DC is the face of the Ukrainian Catholic Church in the capital of the United States. 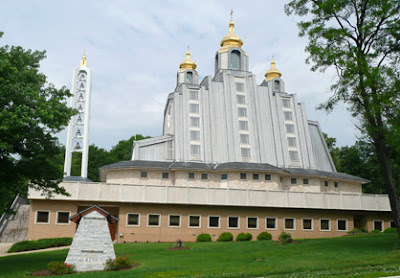 Located adjacent to the Roman Catholic Basilica of the Shrine of the Immaculate Conception on the campus of CUA, and less than 4 miles from the Capitol Building of the United States of America, the Ukrainian Catholic National Shrine of the Holy Family is not only a center for worship for Ukrainian Catholics but has been built to convey information about the Ukrainian Catholic faith and about Ukrainians and their history. It has recently completed two phases of a three phases building process and are now ready to go forward with the third - the commission of sacred art for the interior. Over 35 years, thousands of generous Ukrainian Catholics have contributed financially to the construction of the church. The shrine, designed by architect Myroslav Nimciw, was built in three phases: the lower level in 1979, the upper sanctuary shell in 1988, and the sanctuary interior in 1999. The final phase, as mentioned, is to install iconography in the sanctuary both within the structure of a new iconostas, designed by architect Larysa Kurylas, and on select walls of the sanctuary. If you put the cursor over the lower image, above, then you will see a larger version and will be able to read the schema. 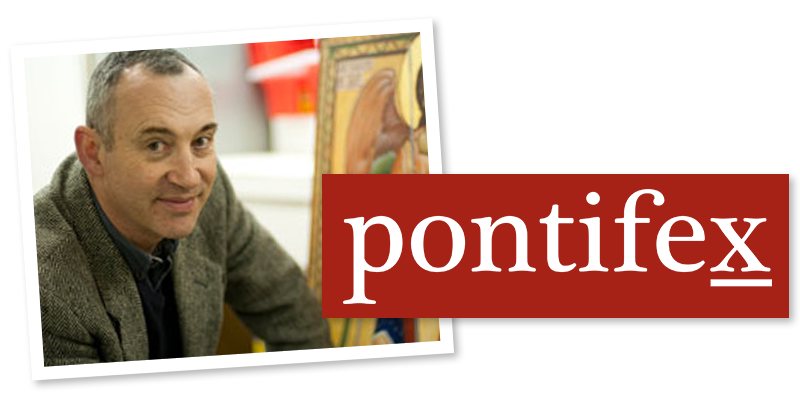 This is an ambitious and worthy project and a great opportunity for a good icon painter. 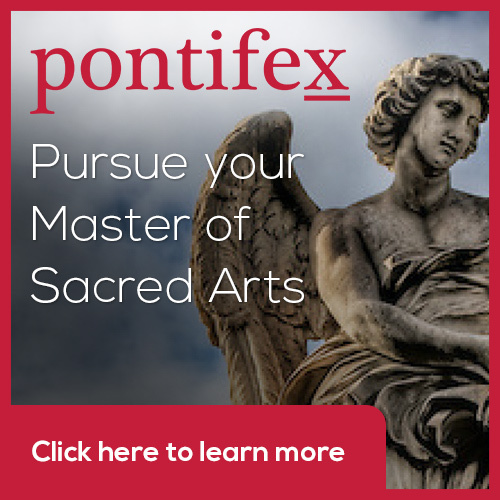 Oh that more of our Roman Rite churches would embark on such a systematic and informed process in the commissioning of art!